THE man assaulted in Killorglin in the early hours of Sunday morning has died in hospital. Gardaí are appealing for witnesses following the incident that occurred in The Square, Killorglin, at approximately 2.20am. The man, aged in his early 30s from the Glencar area, was injured during the incident and removed to University Hospital Kerry but was later transferred to Cork University Hospital where he passed away today. 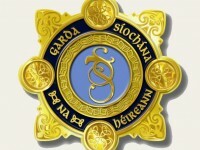 Gardaí are appealing for anyone with information or anyone who was in The Square, Killorglin in the early hours of this morning, taxi drivers who may have been in the area or motorists with dash cams who can assist Gardaí in this investigation to contact them at Killarney Garda station on (064) 6671160, the Garda Confidential Line 1800 666 111 or any Garda Station.